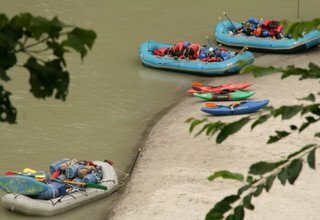 We travel by surface to Dolalghat, your raft 'put-in-point', covering the distance of 57km in about 3 hrs. 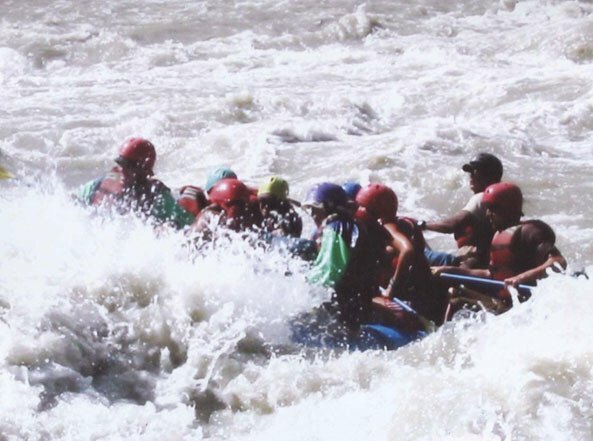 Your excitement starts and ends only after you covered 210km of wild stretches. 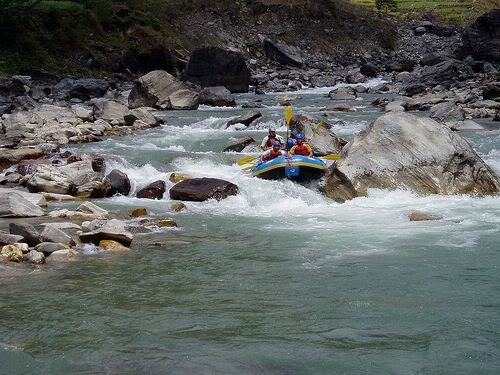 Calm flows through high rocks, strewn passages eventually emerging from the mountains to the flat plains of southern Nepal. 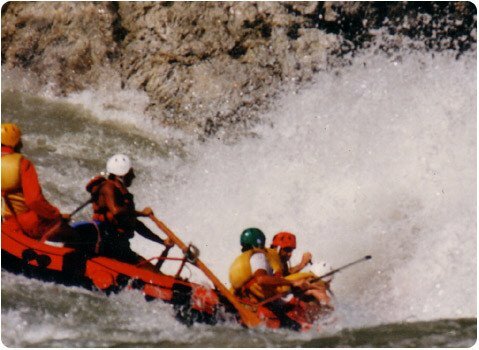 One of the ten classic and best white water journeys on Sunkoshi(river of gold) is in Nepal. It offers a long river trip and probably the most fascinating among the few rivers, which flow down from snow-capped mountains. Big rapes, warm water, beautiful scenery and great camping makes this is a classic multi-day river trip. 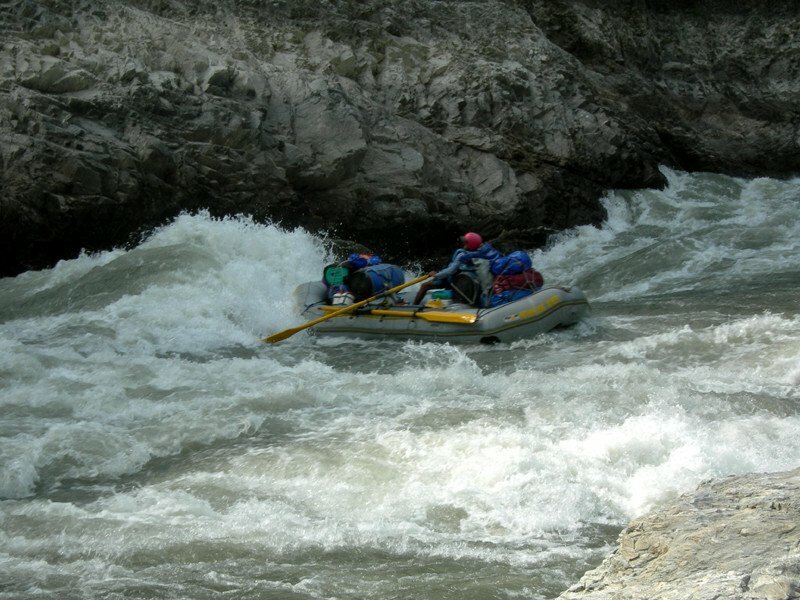 There will be a great trip for intermediate and advanced kayakers. 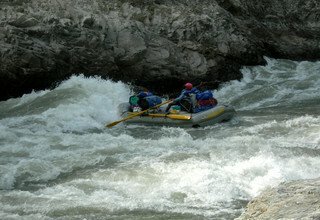 At its best in medium to high flows. 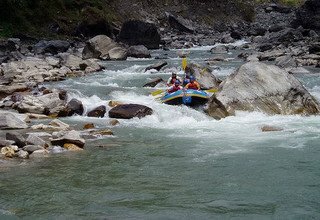 This enchanting river expedition of 9 days will definitely be the highlight of your visit to Nepal, its memory shall last for ever… Sunkoshi is an unpredictable river, it has its own moods; serene, calm and tranquil one moment, wild and turbulent in the next, always changing, always challenging, the ultimate in the river adventure. 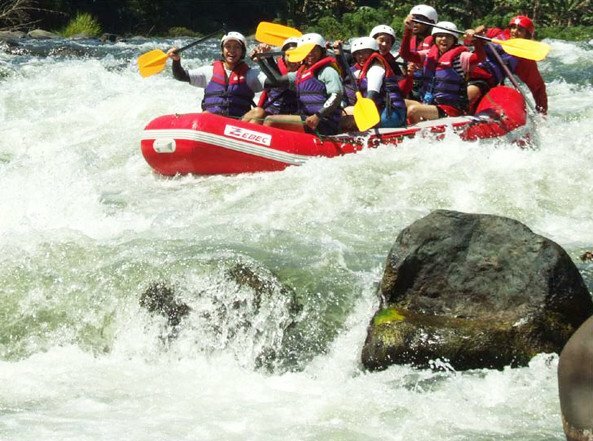 So, Sunkoshi is famous in rafting circles, and with good reason. 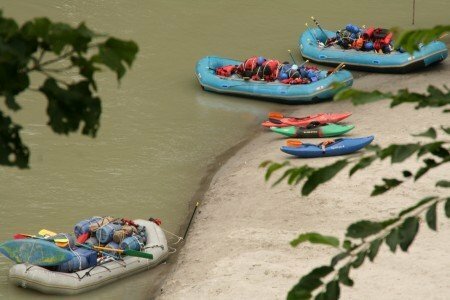 excellent safari or drive back to Kathmandu. 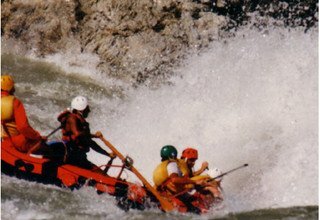 * All meal during the Rafting Period (3 meals a day, Breakfast, Lunch and Dinner with Tea, Coffee and Hot/cold filter Water). * 9 nights accommodation at tented camp.